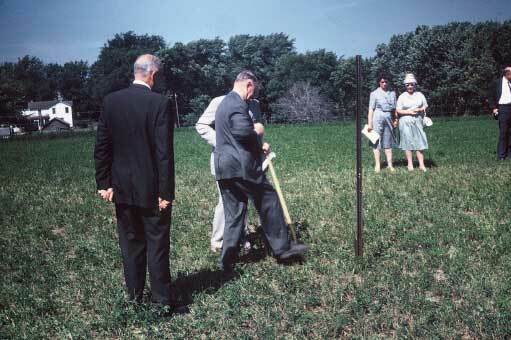 The Racine Astronomical Society held its first meeting in August of 1956 at the Racine YWCA. The goal of the organization was to promote interest in astronomy among the Racine area public. 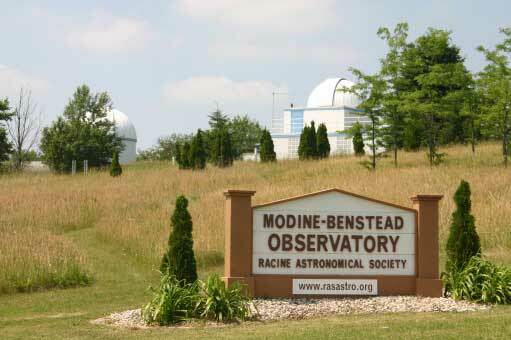 In 1960, the Racine Astronomical Society became a not-for-profit corporation. Through the generosity of two local business executives, A. B. Modine, Founder of Modine Manufacturing Company, and H. M. Benstead, Chief Executive Officer of the Western Publishing Company, construction of an observatory began in 1961. These funds were used to purchase 3.5 acres of land, construction of the observatory and the 16 inch telescope. Club members were involved in both the design and construction of the observatory and the telescope. The telescope and building were both built with the newest technology available at the time. 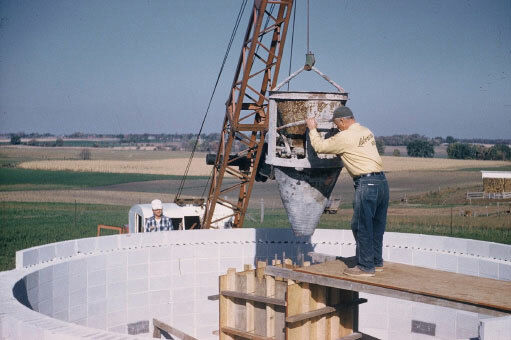 As an example, the concrete pier used to support the telescope was the tallest single pour done in Southeast Wisconsin at the time. The dome used was only the second dome built by Ash Dome at the time. This dome is still in use on the smaller building. The club members did the design of the telescope, but many local industries helped with the fabrication of the parts of the telescope. Local manufacturers fabricated the patterns for the molds, cast the parts, heat treated the necessary parts, and machined the parts. The telescope mount itself weighs 2 tons. Many other local businesses donated parts and materials needed for the construction. In the end the out of pocket cost for the telescope was only $2500. The telescope mirrors were made at Kitt Peak Observatory. At the time the 16-inch telescope was the envy of all amateur astronomers. The telescope still performs as flawlessly today as it did when it was completed. The dedication for the observatory and telescope was held in October 1963. 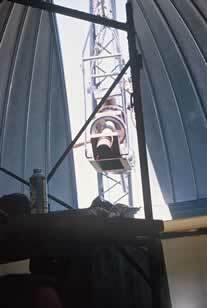 The club has added a second dome which contains a 14-inch telescope. The Racine Astronomical Society continues its fine tradition of promoting interest in astronomy by holding public nights, which are open to anyone with an interest in astronomy. At these events, visitors are able to view astronomical objects through the club's telescopes and member's telescopes.